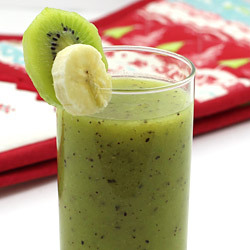 Kiwi Smoothie prepared with this recipe is not only refreshing and cool beverage but also a rich source of vitamin C and minerals. In fact, it contains more vitamin C than what equivalent amount of orange juice contains. 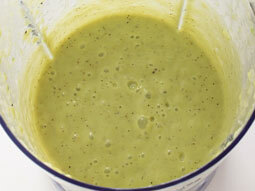 The combination of kiwi, avocado, pear and almond milk makes it one of the best smoothies you would ever make. 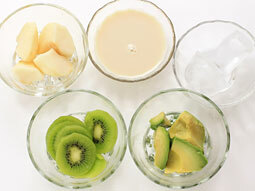 Choose ripe kiwi and slice it. Cut Avocado and pear into small pieces. Add sliced kiwi, avocado and pear. Blend until smooth puree. 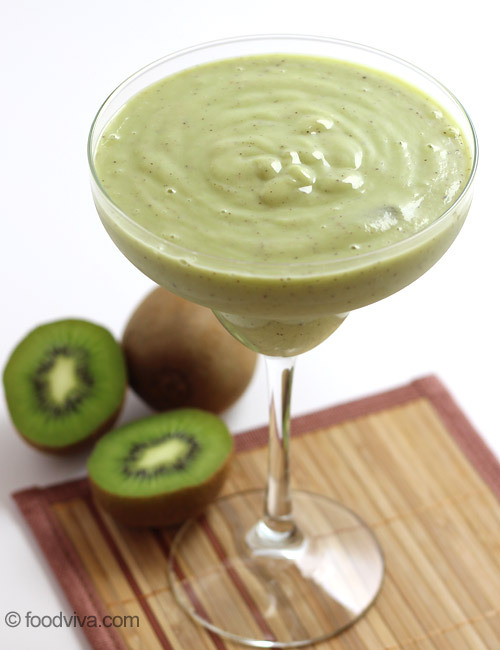 Pour prepared kiwifruit smoothie into serving glasses, garnish with a slice of kiwi and serve. 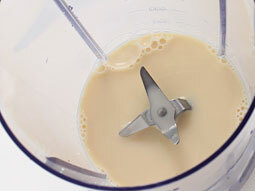 Check the consistency of smoothie before pouring it into serving glasses. If it is not as you would like it to be, then add more milk to reduce thickness or add more fruit to make it thick, and blend again. 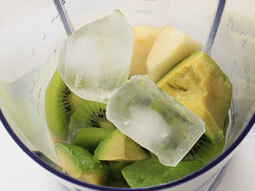 Use ripe kiwis to make this smoothie. 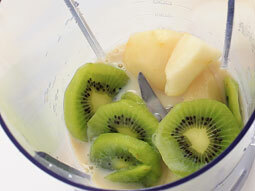 Serving Ideas: Kiwi smoothie is an ideal drink for breakfast and for kids too.